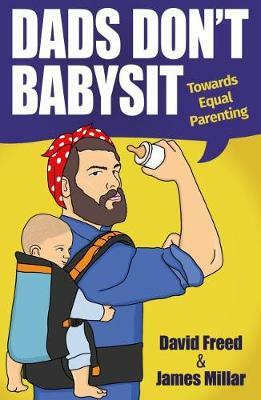 By turns informative and irreverent this book takes a new approach to tackling gender inequality in the home and at work, focusing on dads being entitled to a bigger role in parenting. It presents the barriers men face to being active dads - from sexist security guards to Tory MPs and even Homer Simpson - and, crucially, it outlines how to tackle them for the good of men, women and children. In Dads Don't Babysit two dads outline some of the biggest problems facing families that want dad to get his turn at raising the kids, and offer a range of solutions in a manifesto for parents and policy makers to consider and hopefully adopt. The book tackles topics such as the gender pay gap, lack of a strong parental leave system in the UK, the financial penalties of taking time off to look after children and the limiting expectations parents find colleagues, relatives and the media have on mums and dads. The authors draw on their own experience of parenting and that of others. Interviews are backed up by extensive research so that the book presents these important issues in an accessible, personal and at times light-hearted way that the apolitical reader will be able to relate to. There is a lively and growing argument about men's role in the 21st century and this book offers a unique perspective, giving a feminist argument by men offering solutions to benefit everyone. David Freed is a successful blogger and his website on shared parenting receives thousands of hits per week. He works part-time as a civil servant, a job he returned to after taking six months parental leave. James Millar has worked as a journalist for twenty years. He co-authored The Gender Agenda (published in 2017) which was based on a popular twitter account @GenderDiary.